The G Suite User Import is great way to easily import basic information into the Sigstr application. If you are only utilizing Sigstr campaigns or need to move through implementation quickly, User Import is the preferred method. If you are utilizing a signature template that includes more than just a user’s first name, last name, group, and email address, the CSV file import is needed. The steps below outline the import process. Please note that you must enable the G Suite Integration before you can import users. 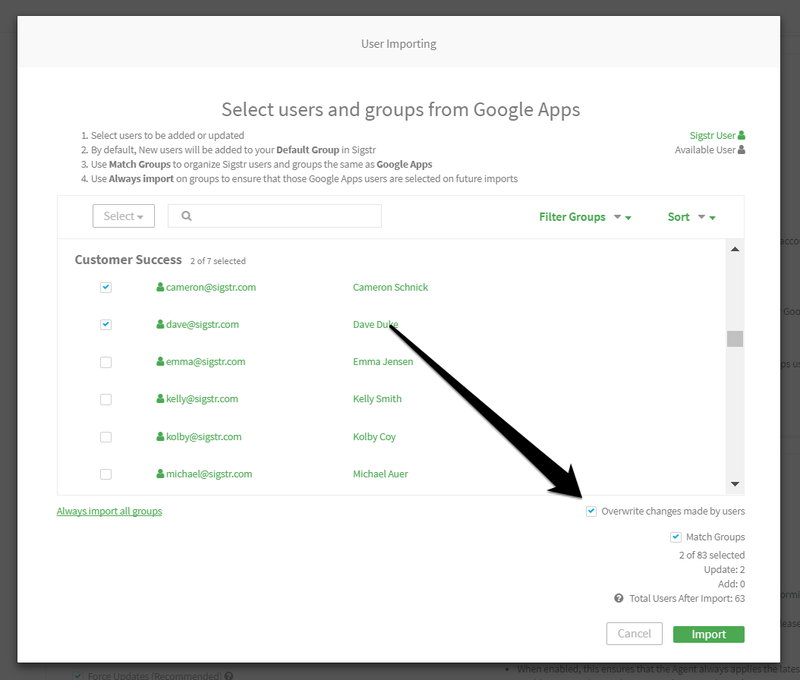 From the Integrations page, click Configure Import. The next screen will allow you to dictate which users listed in your Google account will be imported. If a user is highlighted in green, that user profile already exists in Sigstr. You can choose to import all users, all existing users, all available users (meaning they do not exist in Sigstr), or individual users. If you check the option to Overwrite Changes Made By Users, the import will override any data changes previously made by end users. 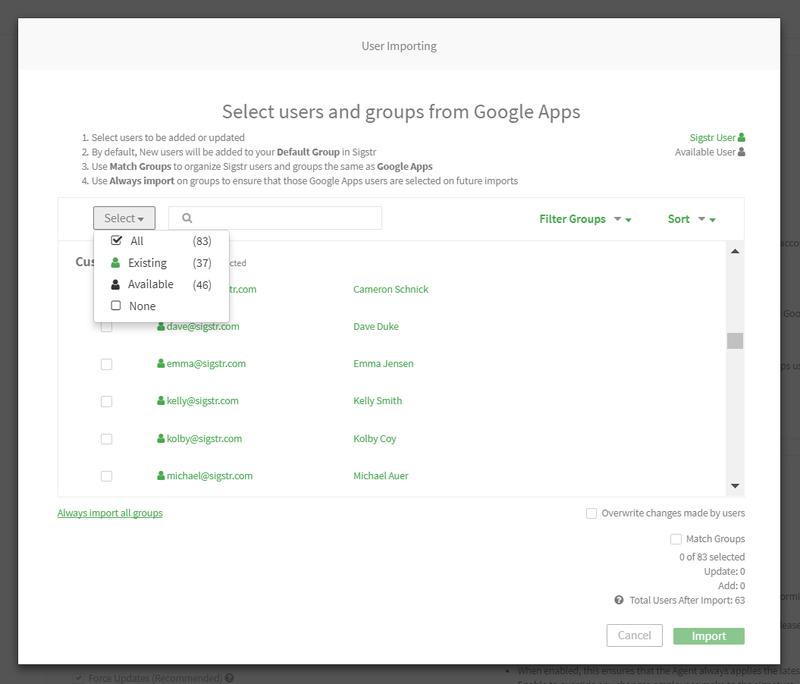 Use Match Groups to ensure Sigstr Groups match those in your G Suite environment. After choosing the users and groups you want added to Sigstr, the User Import process is complete! You can view imported users via the Sigstr Employee page.